If you are looking for a high level of protection and security, both Namecheap VPN and ibVPN are excellent choices, so you cannot go wrong no matter which one you opt for. However, if you wonder which one of these packs more handy features and offers better services in general, this Namecheap VPN VS ibVPN comparison can answer all of your questions and help you make the right choice. View our detailed comparison below and discover which service is one step ahead of its competitor. Namecheap VPN is a new service launched by Namecheap, a well-known web hosting company, in order to provide its existing and new users with a perfect combination of high-speed VPN servers and optimal online privacy and security. A reliable and fast service catering to those users who need a VPN either to unblock websites or to protect their privacy online - or both. 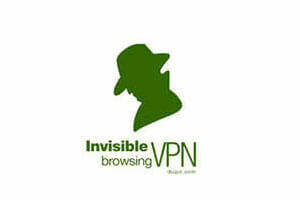 ibVPN is easy to use and has military-grade encryption with all the latest protocols. I’m always a bit queasy when I have to deal with American vpns. Still, I decided to give Namecheap a whirl since it’s so much cheaper than anything else I’ve seen so far. It doesn’t grind my connection to a halt so that’s good and I guess it covers some of the basic vpn functionalities but it still has a long way to go before it can reach the heights of Nord or Express. This vpn is as simple as it gets which is awesome for me since I'm no tech wizard by any stretch of the imagination. However I had a ton of problems with it on my computer and it took user support almost two weeks to get it up and running. IBVPN was really good when I first started with them, unfortunately at the end after almost 5 years, I didn't find their service what it used to be. I set up the vpn on the router and works without any issue. I am connected for like 3 months to a US server. I'm not sure how the VPN connectivity is, but the smart DNS feature works like a charm. I purchased ibDNS package a few days ago to be able to stream BeinSports online. ibVPN offers reliable, fast, and honest services to users who want to access blocked or restricted sites and remain anonymous online. They have a decent number of servers and a great security suite.